What actually closes in a US government shutdown? Washington (AFP) – Hundreds of thousands of US government defense workers, park rangers and business regulators could be temporarily out of work if Congress fails to pass a budget before a midnight Friday deadline. But the looming government shutdown due to lack of funding — which would be the second in five years — does not mean every office closes its doors. Vital services will still be provided by law enforcement, immigration officers, the central bank, veterans’ hospitals and the military. During the two-week shutdown in October 2013, around 800,000 workers were furloughed. This time, about 850,000 workers, out of a total 3.5 million, could be told to stay home — without pay — until Congress reaches an agreement, the American Federation of Government Employees estimates. The 1.5 million uniformed members of the US military, mostly in the Defense Department but also 40,000 with the Department of Homeland Security, will remain at work. “All military personnel performing active duty will continue in a normal duty status,” the Pentagon ordered Thursday. But a large number of civilians in both departments, including about three-fourths of the roughly 740,000 civilians who work for the Pentagon, will stay home. That will slow many operations, and could impact the huge defense private sector, which depends on Pentagon contracts. Officials of the Customs and Border Patrol, Immigration and Customs Enforcement, and US Citizenship and Immigration Services will remain on the job checking and processing people entering the country by land, sea and air. The White House, Congress, federal courts and the Veterans Administration will all continue to operate. The US Postal Service will continue to deliver the mail. The investigation by special prosecutor Robert Mueller into possible collusion between Russians and President Donald Trump’s election campaign will remain active. 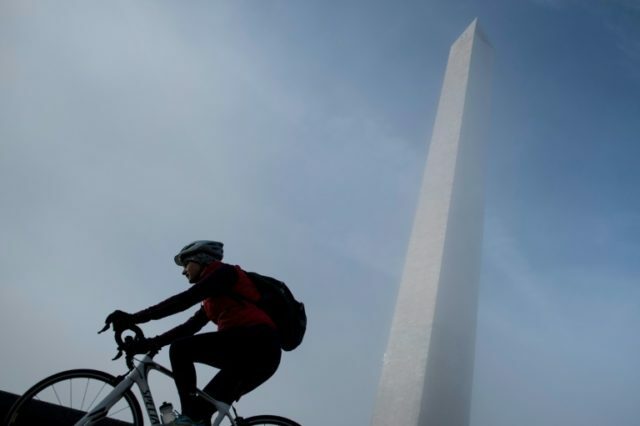 The US capital is funded by the federal budget, which could have affected some services, but Mayor Muriel Bowser said Friday that all city employees will report to work and no services will be interrupted. “I want to be perfectly clear that Washington, DC is open. DC government will continue to provide services to our residents,” she said. Bowser also said that the city will pick up trash at the multiple national park properties around the city while park employees are furloughed. The Federal Aviation Administration, which oversees air traffic control, will remain at work, and airports will remain open for travellers. According to tentative plans, national parks and museums will remain open, but some public employees at the parks could be furloughed while private contractors, who supply food and other services, will maintain operations. Disease monitoring and prevention will slow. About 61 percent of the staff of the Centers for Disease Control will be furloughed, according to The Washington Post, and much of the research-focused National Institutes of Health will be shuttered. Other agencies will largely shut down, including the Internal Revenue Service, the Social Security Administration, the Department of Housing and Urban Development, the Department of Education, the Commerce Department, the Labor Department, and the Environmental Protection Agency. That means people and businesses will not get documents and permissions processed, contractors will have difficulty moving ahead on their projects, and disaster relief will slow.